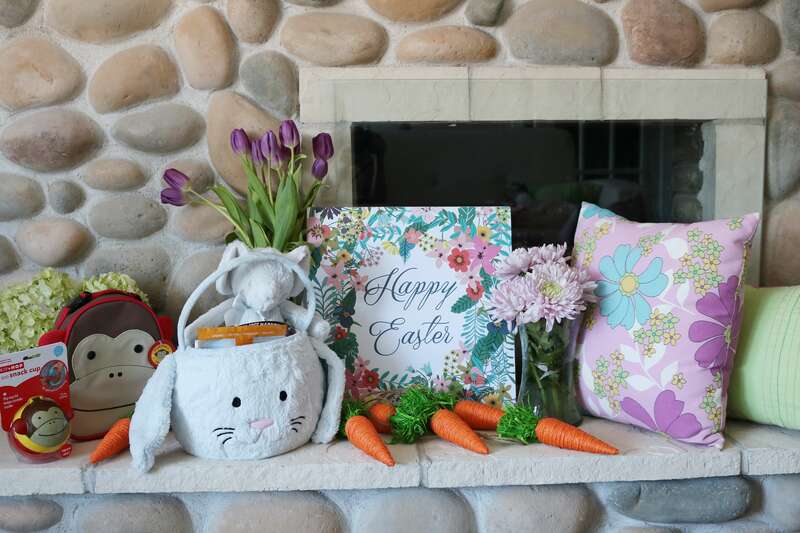 I am in love with celebrating every holiday to the max, and one of my favorites is Easter! 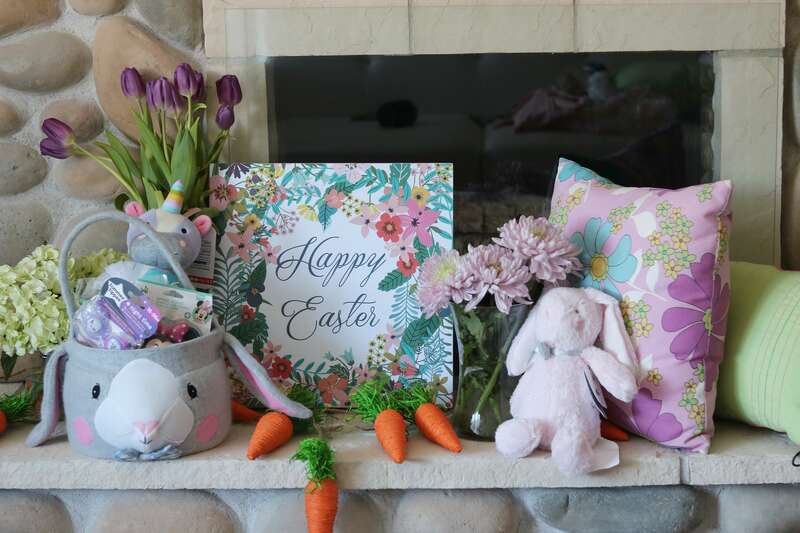 My family has always had a traditional Easter Egg hunt complete with an engraved trophy for the winner (I am the long-standing champ, but I did slack a little last year), so we really love to celebrate and spend time together. 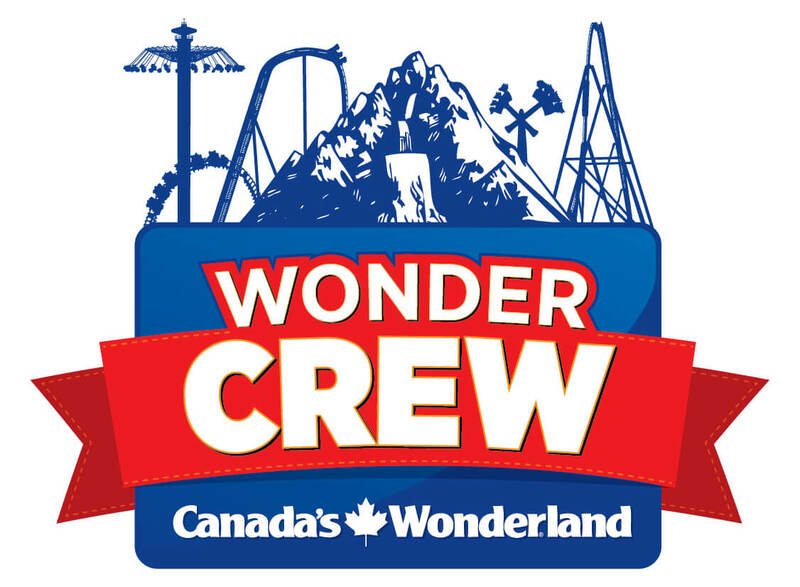 For us it’s usually a holiday weekend filled with lots of family dinner’s, breakfasts, and downtime together. This year will be no different, but I’m excited because I have a few new Easter baskets to put together. My son now has not one but two little cousins (one is only a few days old right now), so I’m putting together a few Easter baskets for them. 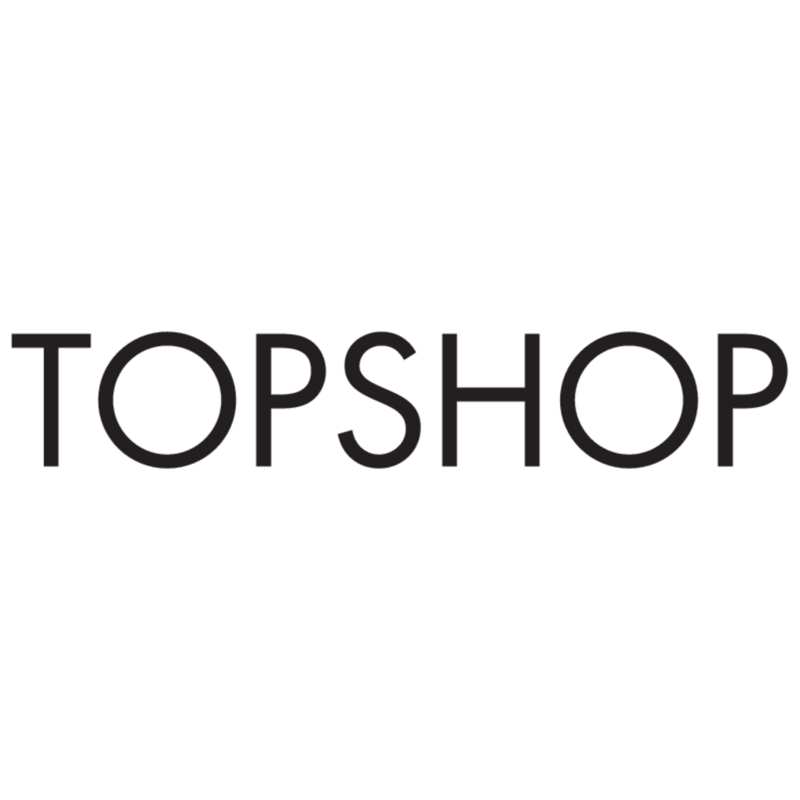 Living in Whitby I have a few local spots that I love to shop at for different things, and lately I’ve been sharing a lot about shopping at my local buybuyBABY Whitby. 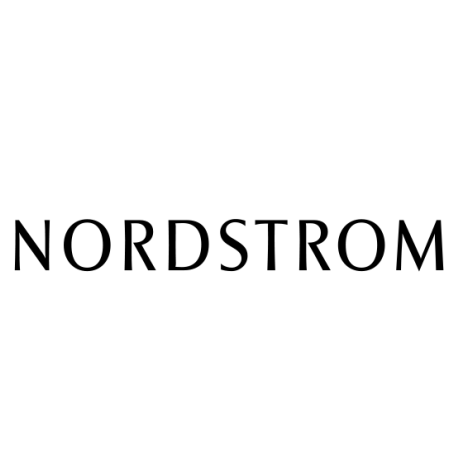 As I write this post I have plans to head there later today to pick up a few things! 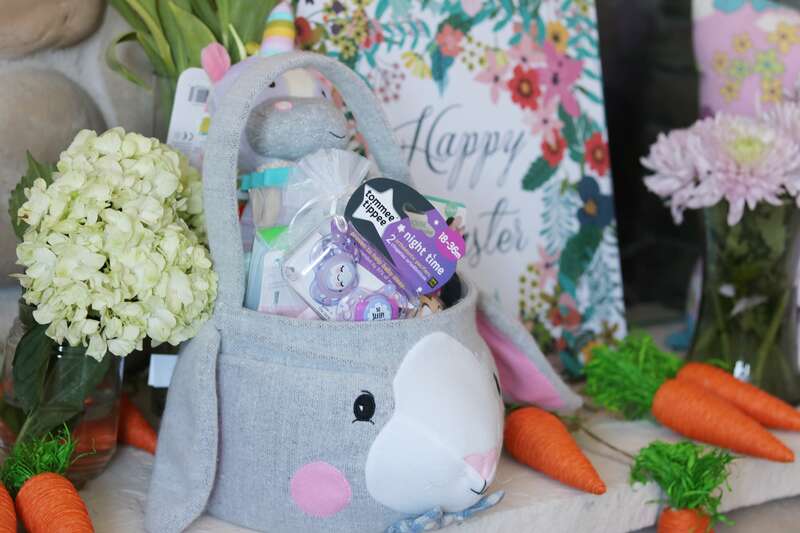 I thought it would be fun to put together some ideas for what to put into an Easter basket for a baby, toddler boy and toddler girl from buybuyBABY because they literally have everything! 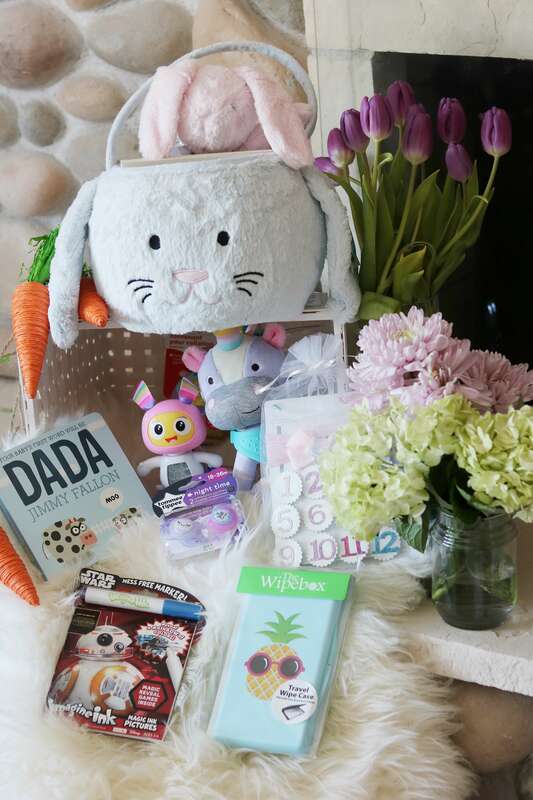 Food, toys, books, clothing, the essentials – it was so fun to put together these baskets with them! 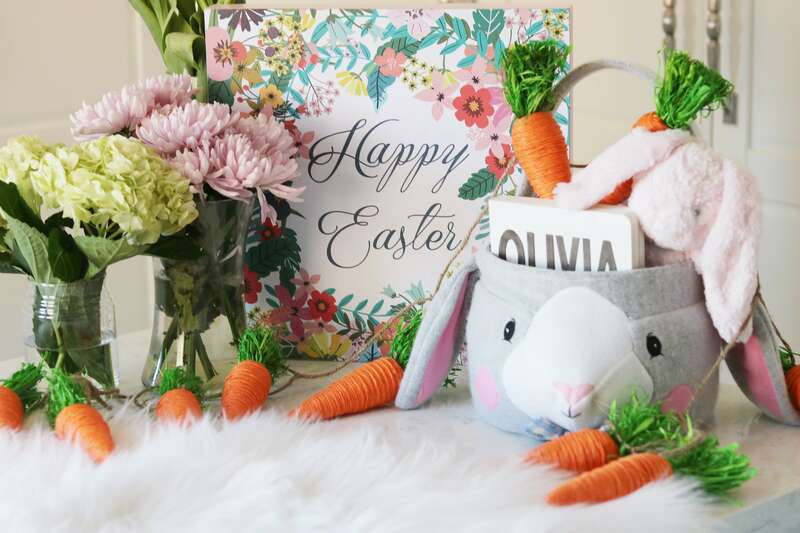 Check out some of my favorites for an Easter basket below – I’ve linked to all of the options as well so you can check them out for yourself! I think the Easter basket for a baby was the most fun to put together. 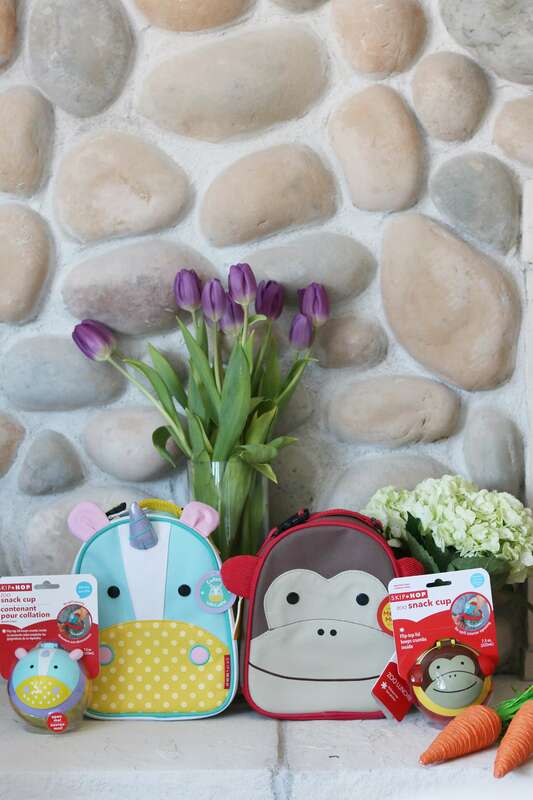 I can’t believe how many adorable things buybuyBABY has now that I would have loved to have when my son was a baby! 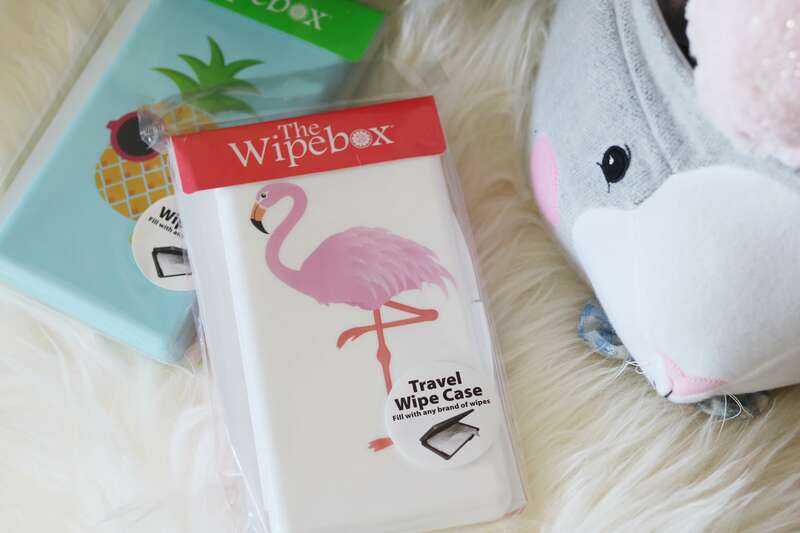 I was always trying to find little unique accessories like this adorable Uber Mom Wipeboxes. I remember my mom ordered a custom one for me, but now you can buy some of the cutest one’s in-store! 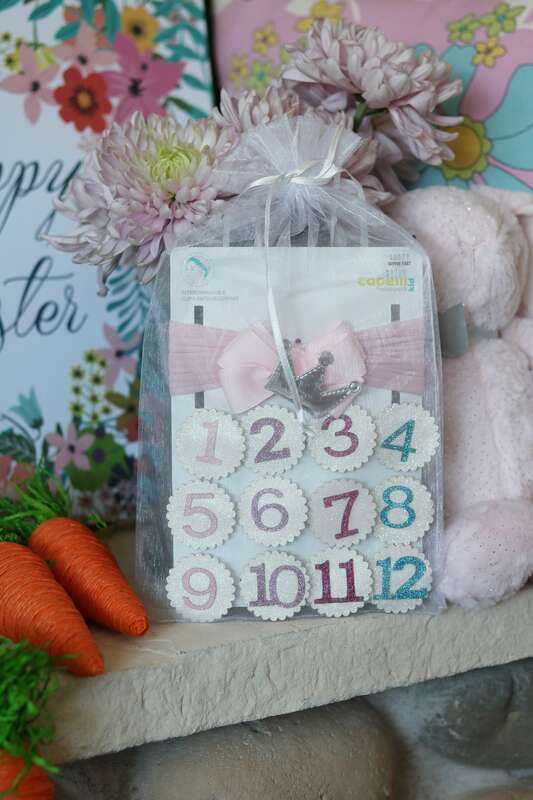 These little milestone numbers are adorable – I love that instead of sticking them on a onesie they can be added to this headband! 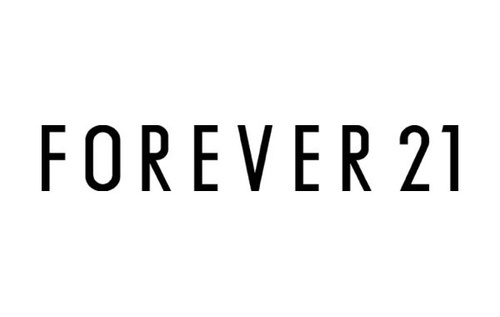 Of course I added a bunny (essential right? 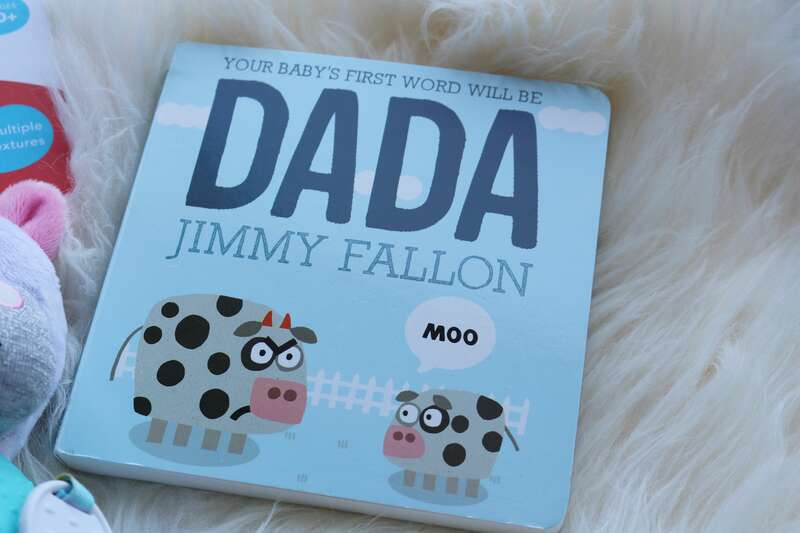 ), and this cute little book by Jimmy Fallon called Dada is the perfect gift for trendy little baby. 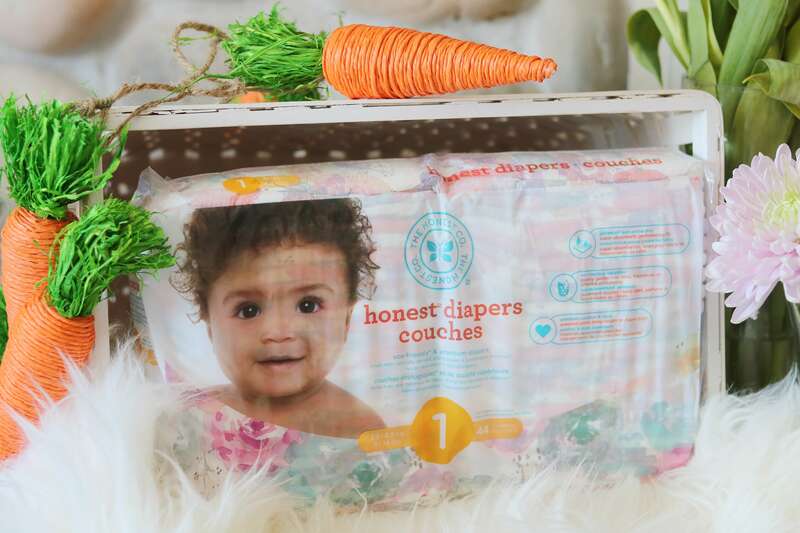 Honest diapers are probably the cutest I’ve ever seen. My baby wouldn’t be wearing pants if I had them in these diapers because the patterns are too cute to be hidden away. I also love how unicorns have been popping up everywhere when it comes to baby toys. 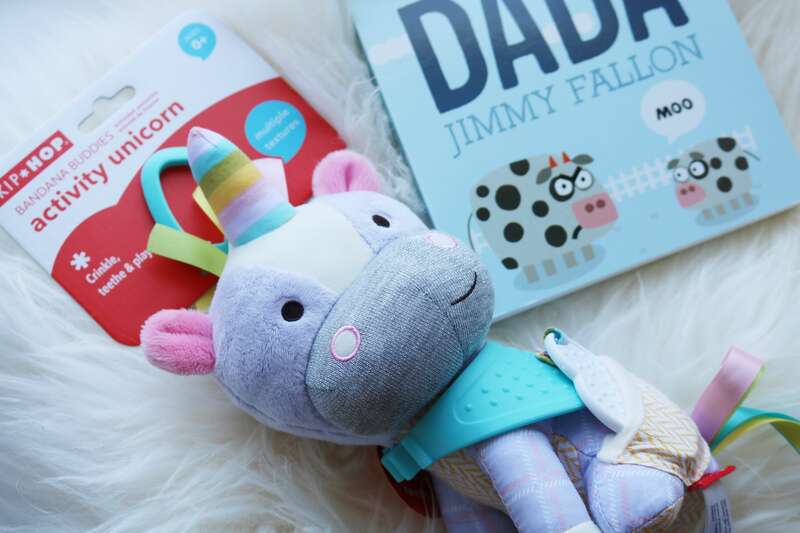 This little SKIP*HOP Bandana Buddies Unicorn Activity Toy would be such a cute and fun addition to any stroller or car seat for your baby. 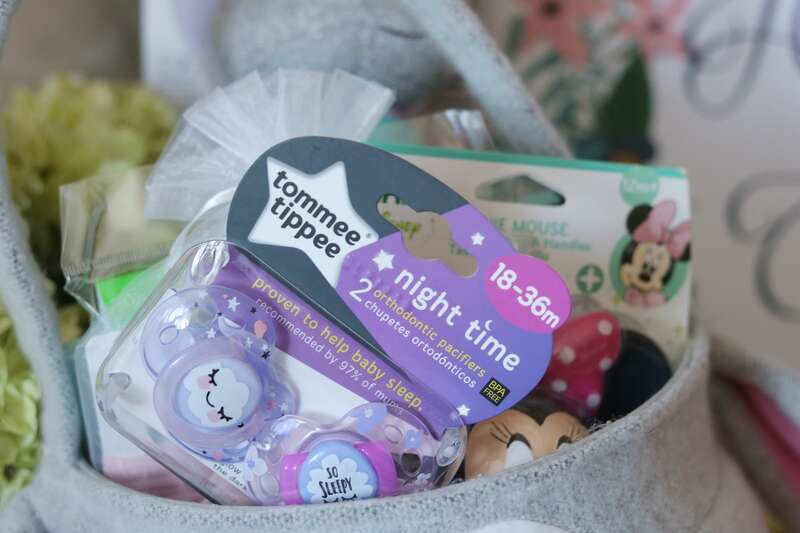 These tommee tippee Orthopedic Pacifiers have cute little pictures and sayings on them (I think they are the cutest I have EVER seen! 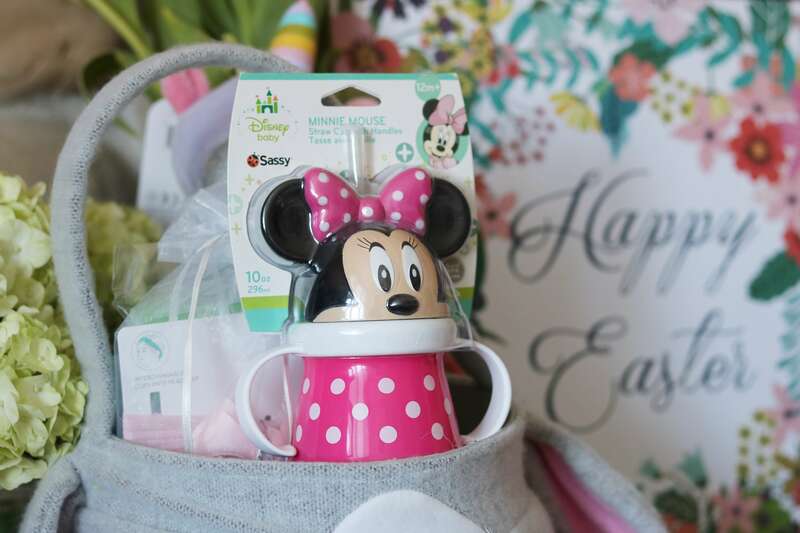 ), and I’m loving this cute sippee cup by Sassy with Mini Mouse – it’s almost like a toy so I’m sure a it would be a favourite. With all of the drooling (there’s so much drool, right?) these bandana bibs are almost like an outfit accessory that serve a purpose! 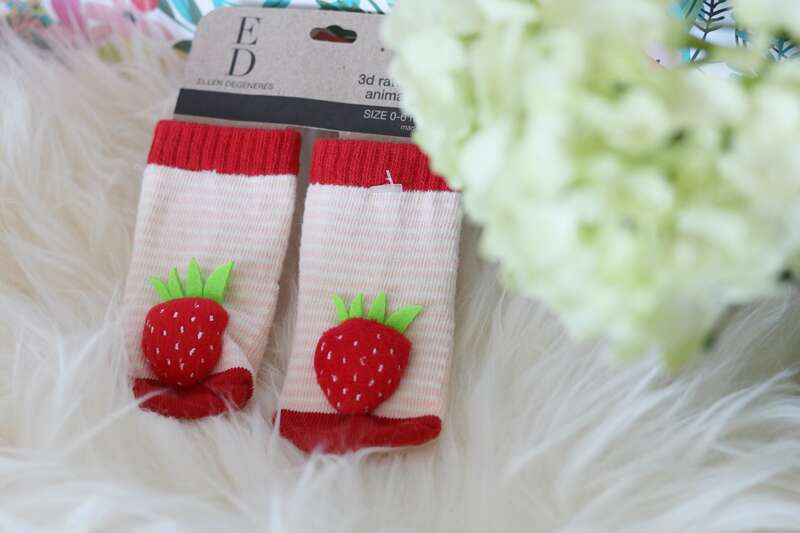 The same with these baby socks with rattle strawberries – not only are they adorable, but you can hear them every time the baby moves their feet which would work as a great distraction tactic! 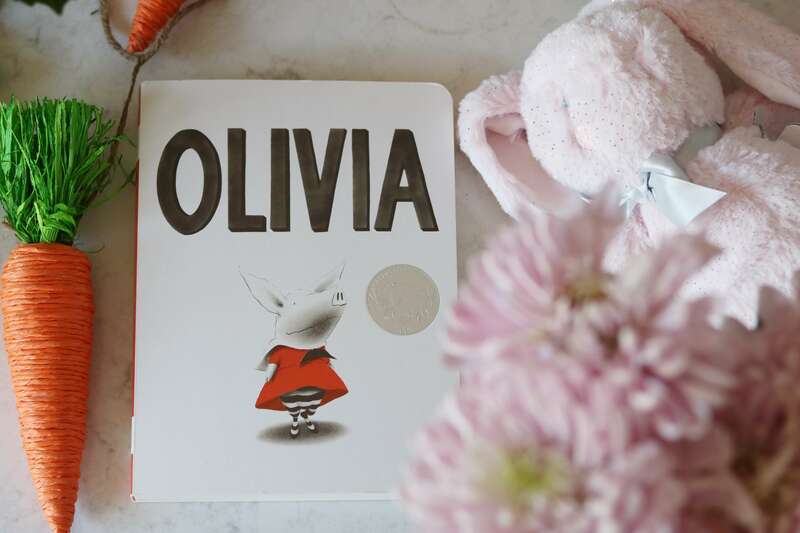 I love to include a book with every gift I give. 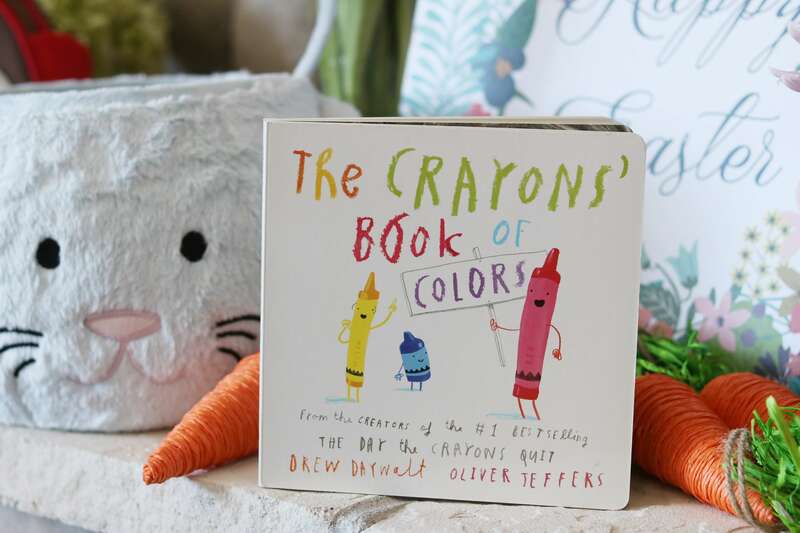 This board book of The Crayons’ Book of Colors is a simpler version and in the same style as the classic The Day the Crayons Quit. 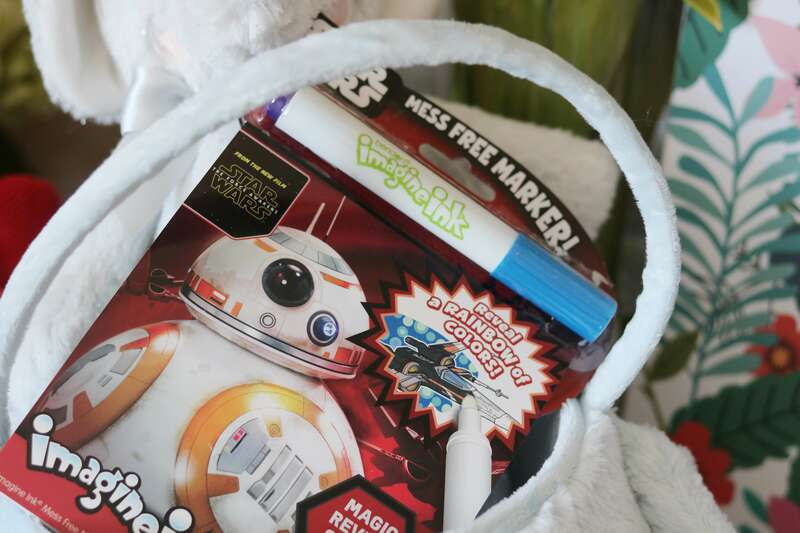 This Imagine Ink Star Wars book is a great take-along to add to your purse to give your child when you are out for a meal or at one of those Easter functions and you want to keep them busy. 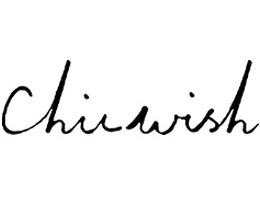 The Imagine Ink is clear so if they draw on a wall (happens all the time right?!) you can’t see it, but when they draw in the book it illustrates in colour. 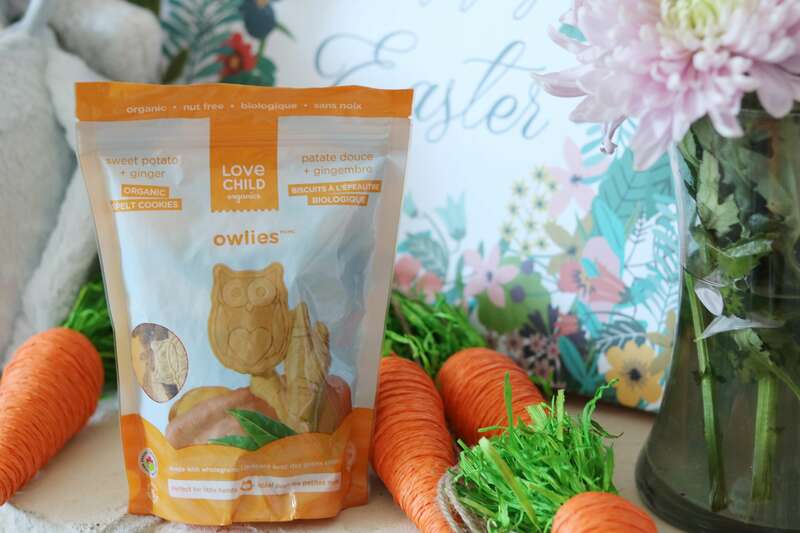 These Love Child Organics Owlies are a great alternative to chocolate if you aren’t ready to give it to your toddler, or if they just don’t like it! They come in different flavours, and it’s a great healthy snack for kids. 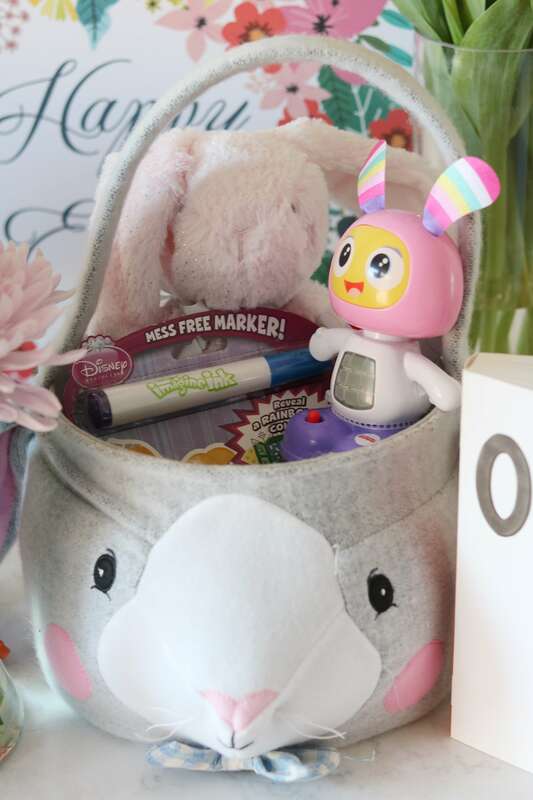 I also included a little elephant in this basket because most kids love every kind of stuffed animal to hug. 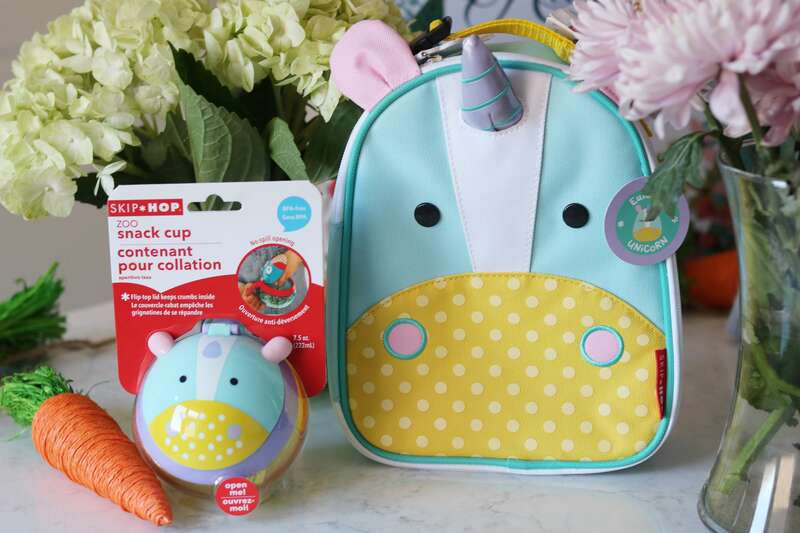 I love these little SKIP*HOP® Unicorn Zoo Lunchie bags – they can double as a smaller child’s backpack which is AMAZING, and they have a matching zoo snack cup for each animal the lunch bag or backpack comes in. 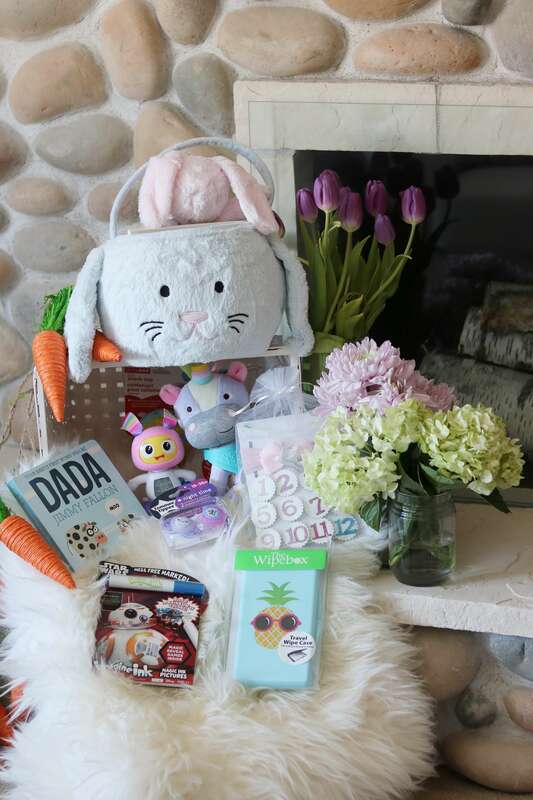 There’s a bit more pink in this basket, and I included some things from the boy-themed basket like the Love Child Organics treats, and the mini Fisher-Price Bright Beats Dance & Move BeatBo Toy. For the Imagine Ink book I included a princess version, and I added a pink bunny that could be one of the softest stuffed toys ever. 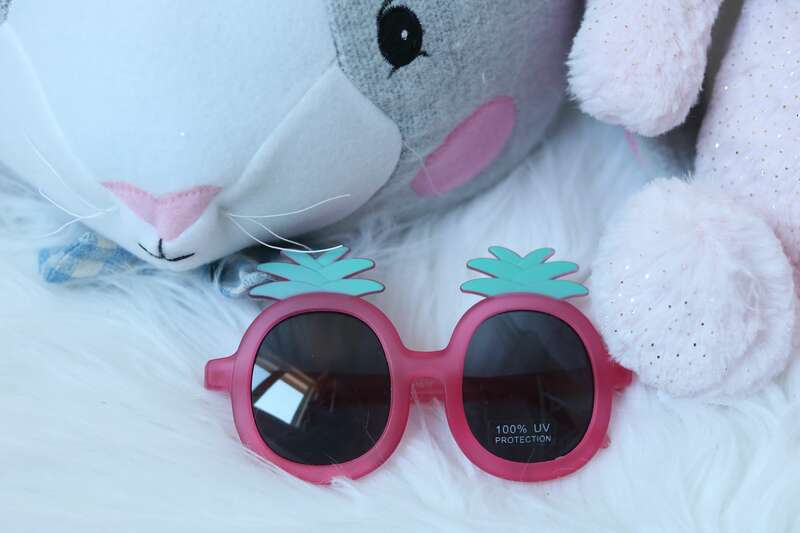 I also added in these adorable pineapple sunglasses since spring is coming, and the board book I included was Olivia, which I personally think is another classic. 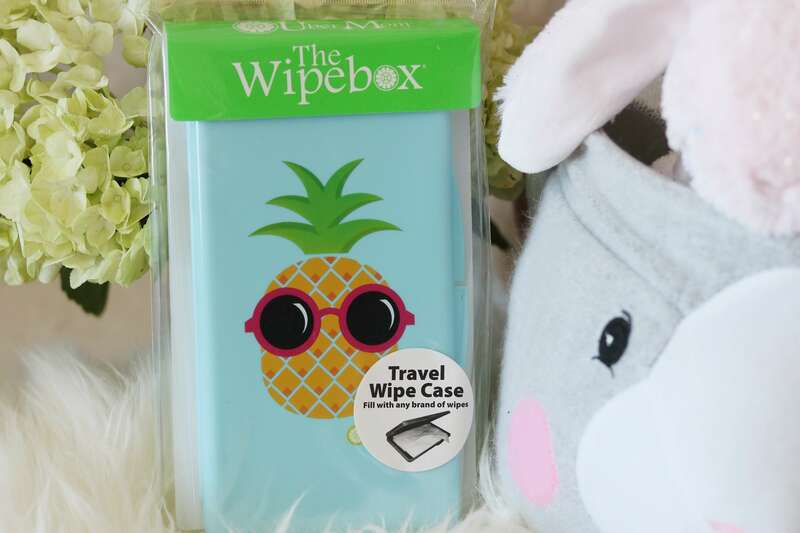 I hope you liked some of my Easter basket ideas, and I picked all of them up at buybuyBABY Whitby in case you want to pick up a few of these items yourself. Is there anything I’m missing? Let me know in the comments what else I could have included!